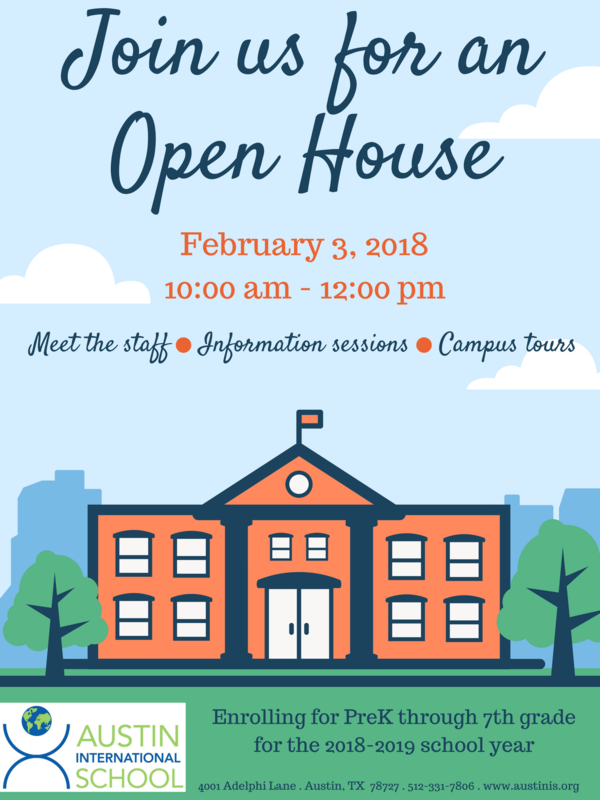 We hope you can join us on February 3rd from 10 am - 12 pm for an Open House. Prospective families will have the opportunity to meet our teaching teams and the administration along with current students, parents, and alumni, take a tour of our lovely campus, and hear about what makes our school unique in our information session. To rsvp or for more information, reach out to admissions@austinis.org or call 512-331-7806!